1731 J. A. Hasse becomes director of music to the King of Poland and Elector of Saxony. 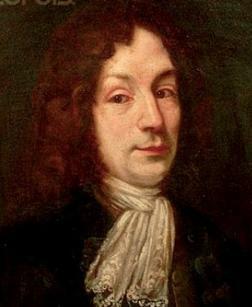 1755 Death of Italian composer Francesco Durante in Napoli. b-Frattamaggiore, 31 March 1684. 1819 Birth of German pianist, teacher and composer Clara Wieck (Veek) SCHUMANN in Leipzig. m-Robert Schumann. d-Frankfurt-am-Main, 20 MAY 1896. 1825 Death of Italian baritone Luigi Bassi in Dresden. Original Don Giovanni. b-Pesaro, 4 SEP 1776. 1848 Birth of Austrian opera impresario Heinrich CONRIED (Cohn) in Bielitz. MET Opera. d-Tirol, 27 APR 1909. The Conried Metropolitan Opera Company was formed in 1903, with Conried as manager. 1858 Birth of Norwegian composer and conductor Catharinus ELLING in Oslo. d-Oslo, 8 JAN 1942. 1866 Composer and pianist Nicholas Rubinstein opens the Moscow Conservatory and obtained for Tchaikovsky the post of teacher of harmony there. 1874 Birth of Austrian-American composer Arnold Franz Walter SCHOENBERG in Vienna. Faculty music department of the University of California. d-Los Angeles, 13 JUL 1951. 1877 Birth of Dutch conductor Elisabeth KUYPER in Amsterdam. d-Viganello, Switzerland 26 FEB 1953. 1884 Birth of American composer Charles Edward "C.E." DUBLE in Jeffersonville, IN. d-Jeffersonville, IN AUG 1960. 1894 Death of French composer Emmanuel Chabrier in Paris. b-Ambert, 18 JAN 1841. 1898 Birth of French conductor Roger DESORMIERE in Vichy. d-Paris, 25 OCT 1963. 1917 Birth of American composer Robert WARD in Cleveland, OH. 1924 Birth of French composer Maurice JARRE in Lyon. 1929 Birth of Bulgarian bass Nicolai GHIAUROV in Velingrad. d-Central Italy, 2 JUN 2004. Billboard Obituary. Debut as Basilio in Barbiere di Siviglia by Rossini in 1955. Teacher was Christo Brambarov. 1932 Death of German composer Julius Röntgen in Utrecht, The Netherlands. b-Leipzig, 9 May 1855. 1937 Birth of Canadian composer Jean CHATILLON in Nicolet, Québec. 1939 Birth of American soprano Arleen AUGER in Los Angeles (South Gate). d-Netherlands, 10 JUN 1993. OBIT. Debut as Queen of the Night in Zauberflote by Mascagni in 1967. Teachers were Ralph Errolle, L D Frey. Pupils included Dalmacio Gonzales and Renee Fleming. Created Alma in Konig Nicolo by Weishappel. 1948 FP of Cyril Scott's Oboe Concerto, at Royal Albert Hall in London. 1955 Birth of German harpsichordist Andreas STAIER. 1956 FP of Igor Stravinsky's Canticum sacrum ad honorem Sancti Marci nomiminis, composer conducts, at St. Mark's in Venice. 1958 Death of Dutch composer Gerard Bunk in Kamen, Germany. b-Rotterdam, 4 MAR 1888. 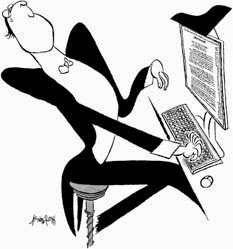 1967 FP of Aaron Copland's Inscape for Orchestra, a commission by the New York Philharmonic for its 125th Anniversary Year, by the New York Philharmonic conducted by Leonard Bernstein at Hill Auditorium in Ann Arbor, MI. 1977 Death of conductor Leopold Stokowski in Hampshire, England, at age 95. b-London, 18 APR 1882. 1985 Death of French-born American composer, painter and mystical philosopher Dane Rudhyar at age 90, in San Francisco, CA. b-23 MAR 1895. 1986 FP of Leonard Bernstein's Concerto for Orchestra Jubilee Games composer conducting the Israel Philharmonic at Avery Fisher Hall in New York City. 1994 Death of Bulgarian composer Georgi Tutev in Sofia. b-Sofia, 23 AUG 1924.